The Hyperledger now backed by IBM. But, it is still an open source. These interview questions help you to read quickly. 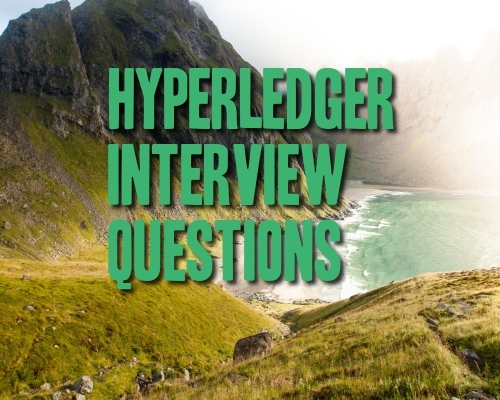 The below set of interview questions help you like a tutorial on Hyperledger fabric. 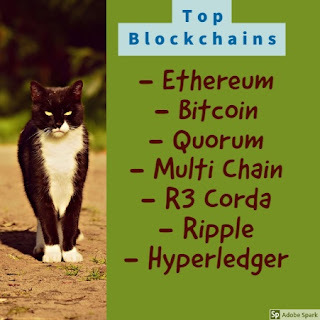 A channel in Hyperledger is the subnet of the main blockchain. You can have n number of Channels in a Blockchain. 4). Can a Peer or Node be a part of many channels? Yes, can be part of many channels. 5). Can the transactions within a Subnet visible to the public? No, these are visible to people for subscribers of the particular Channel. 6). Are the smart contract and security policies are private to each subnet? Yes, each subnet should have its own Smart contract and Security policies. 7). What is the difference between Chain code and Smart contract? In reality, both are the same. 8). Which languages are popular to write chain code? 9). Where the Chain code executes in the Blockchain environment? Those run in Docker, which is a Sandbox. 10). What is Identity management? Identity management is an inbuilt service, that handles Security, Members, Roles, and digital signatures of accounts. 11). What is Certification authority? A). Fabric CA takes care of registration, issuance of e-certificates, role assignment, renewals and revocation to the various nodes before they can start communicating in the network. In HyperLedger each node or peer represents a client. It is a complex process. The Hyperledger uses Practical Byzantine Fault Tolerance or PBFT model. 13). How the ledger entry made? It starts from peer authentication, Transaction verification, and informing to all peers when a block is added. 14). The top tools used in developing blockchain applications? These are Java, node.js, NPM and other editing tools. 15). What is the blockchain composer? The blockchain composer is a development piece, where you can develop quickly. Once you are happy with the requirement, you can deploy into blockchain fabric. 16). What is HyperLedger SawTooth Lake? It is an open source project backed by Intel. 17). What is Proof of Elapse Time? The PoET is the consensus algorithm that is designed to create a fair consensus model, which mainly focuses on efficiency. 18). What is Hyperledger Indy? HyperLedger Indy is an open source project for supporting independent identity on BlockChain and distributed ledgers. Indy provides tools, libraries, and reusable components for providing digital identities. 19). What is Hyperledger Burrow? It is sponsored by Intel and Linux Foundation. Hyperledger Burrow is a permissioned Ethereum smart-contract blockchain based on Monax platform. It executes Ethereum smart contract code on a permissioned virtual machine. Burrow provides transaction finality and high transaction throughput on a proof-of-stake PBFT based consensus engine. Blockchain as a service you can say as BaaS. The top leaders in this line are Amazon, IBM, Microsoft, and Google.